A new IDC study shows private cloud spending increased 28.2 percent year over year. Off-premises private cloud, in particular, is seeing strong growth. Once again, IDC has thrown cold water on the notion that enterprises are looking to shut down their data centers, instead finding that they are looking to grow them. The latest worldwide market study by International Data Corporation (IDC) found revenue from sales of IT infrastructure equipment grew 48.4 percent year over year in the second quarter of 2018 to $15.4 billion. Of that, private cloud spending reached $4.6 billion, an increase of 28.2 percent year over year. That's a significant increase, but not as great as the jump in spending on public cloud IT infrastructure, which was $10.9 billion, a 58.9 percent year-over-year growth. By end of the year, IDC projects public cloud spending will account for 68.2 percent of total IT equipment spending, growing at an annual rate of 36.9 percent. That’s not surprising, though, as Amazon, Microsoft, Google, etc., buy servers in the tens of thousands of units. IDC raised its forecast for total spending on cloud IT infrastructure in 2018 to $62.2 billion with year-over-year growth of 31.1 percent, and that’s over three different cloud computing deployment models: public cloud, private cloud off-premises, and private cloud on-premises. Unfortunately, IDC did not break down on-prem vs. off-prem sales, but it is clearly a growing market. What’s new and growing is private cloud off-premises. This is where a company buys and owns the equipment, but the equipment is hosted in a cloud provider’s facilities, like Equinix, CoreSite, and Digital Reality. 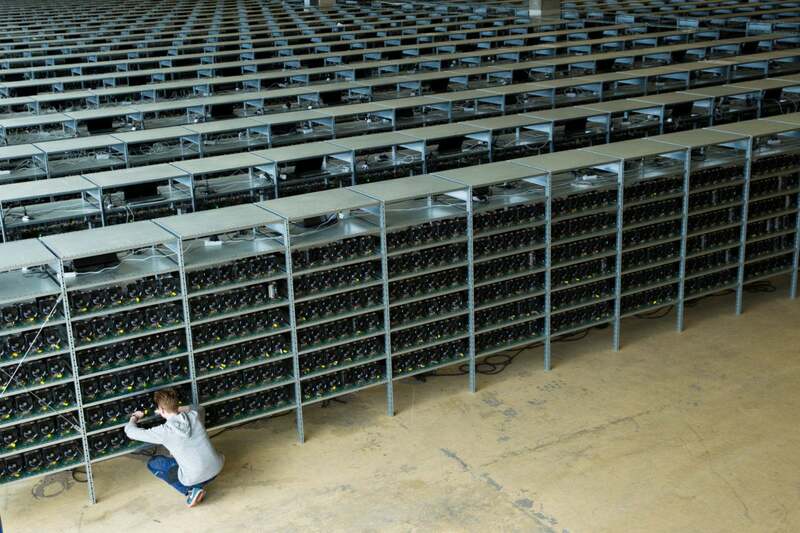 This allows enterprises to either expand their data center capacity without having to make the capital investment or divest itself of the headache of running a facility, which is harder and more expensive than the computers. And it shows in a slowdown in non-cloud sales. 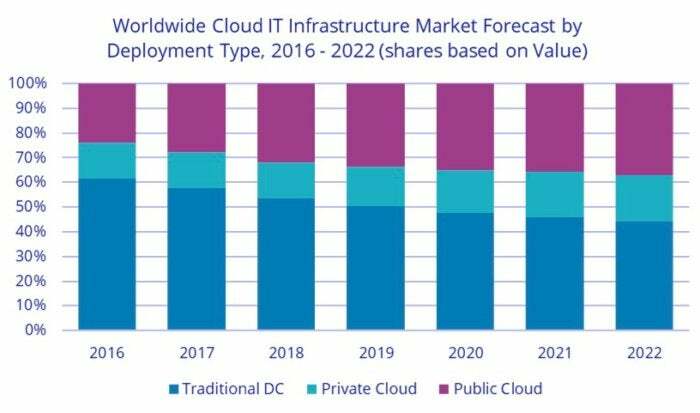 While the market grew 21.1 percent year over year, IDC expects that traditional non-cloud IT infrastructure for the year will grow by only 10.3 percent and start to wind down by 2019. By 2022, non-cloud IT spending will represent only 44 percent of total worldwide IT infrastructure spending, down from 51.5 percent in 2018. "As share of cloud environments in the overall spending on IT infrastructure continues to climb and approaches 50 percent, it is evident that cloud is now the norm. One of the tasks for enterprises now is not only to decide on what cloud resources to use, but actually how to manage multiple cloud resources," said Natalya Yezhkova, research director for IT Infrastructure and Platforms at IDC, in a statement.